UP BTC Exam conduct Semester wise for various Training Session. There is no Fix date of conducting Exams & announcing their Result. Result uploaded on Exam Regulatory Authority UP Official Website. Details of Marks in Theory & Practical Exam is also available in Result. Candidates with good BTC merit, have fair chances to get Government Jobs. UP Exam Regulatory Authority has conducted UP D.El.Ed 2018 1st Semester Exam from 28 to 30 January, 2018 while UP D.El.Ed 2017 2nd Semester Exam conduct on 31 January & 01, 02 February, 2019. 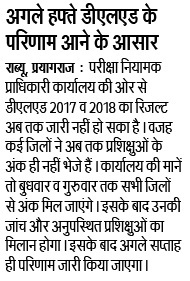 UP BTC 2018 1st Semester Result & UP BTC 2017 2nd Semester Result can be announced in Given months. More than 2 Lac Students appeared in btc semester exams. Get up deled 2018 result Updates below..
At First Visit Official Website of Exam Regulatory Authority for up btc result 2018 in Uttar Pradesh (http://www.examregulatoryauthorityup.in). On the Home Page Search for Result Section & Click on that Section. After Clicking on Result Section, you will be redirected to Result Page. On that Page, In Order to Check Your Result, You need to Fill Year & Semester wise Exam Name. After Selecting Year & Semester wise Exam, Result will open in New Tab. Download UP BTC Result of that Semester in .pdf Format from that Link. Take a Print out for Future Reference. UP D.El.Ed 2017 1st Semester Scrutiny Result has announced Now. 1745 Students passed in Scrutiny Result. 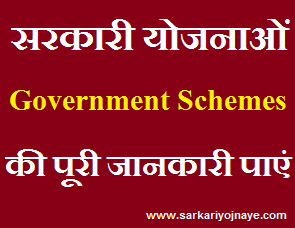 Candidates can check their Result from link given below…. BTC D.El.Ed Aspirants get all Latest Updates related to UP BTC Result 2018, UP BTC Semester Exam Result 2018, UP BTC D.EL.Ed 1st 2nd 3rd 4th Sem Result 2018 Semester wise. Bookmark this Page (Use CTRL+D) for Latest Updates.